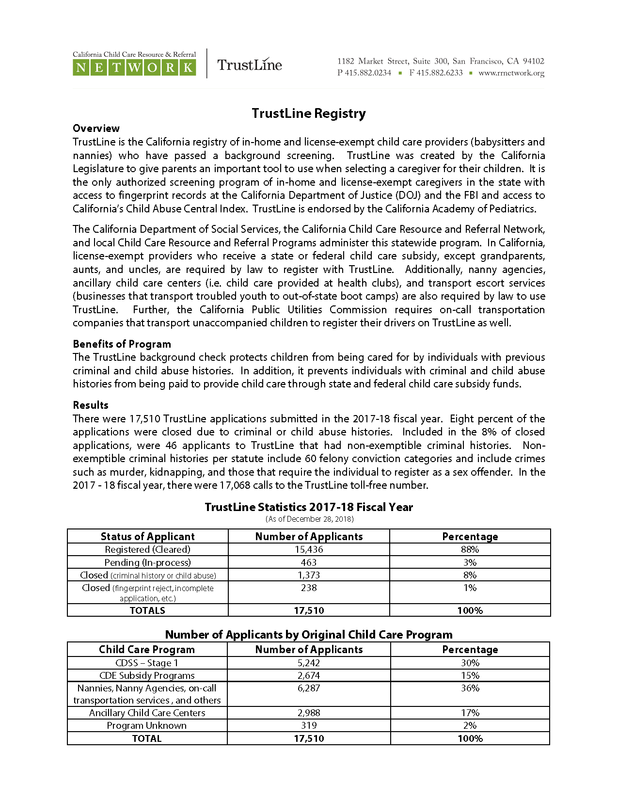 TrustLine is the California registry of in-home and license-exempt child care providers (babysitters and nannies) who have passed a background screening. TrustLine was created by the California Legislature to give parents an important tool to use when selecting a caregiver for their children. There were 17,510 TrustLine applications submitted in the 2017-18 fiscal year. Eight percent of the applications were closed due to criminal or child abuse histories. Read the Overview to see more about TrustLine's work in FY 2017-18.